This month is focused on Breast Cancer Awareness to remind women of the importance of practicing prevention by getting mammograms and performing self-breast exams. A screening mammogram not only can detect breast cancer before you have symptoms, but it also makes it easier to treat if found early. However, many women put off having this life saving test for reasons that are inexcusable. This is simply denial. “Denial does not solve the problem. Denial does not make the problem go away. Denial does not give us peace of mind, which is what we are really seeking when we engage in it. Denial is a liar. 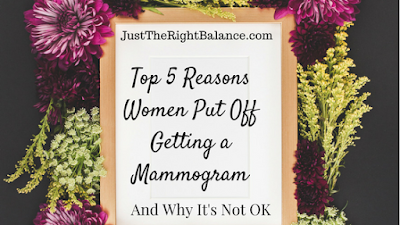 It compounds the problem, because it keeps us from seeing a solution, and taking action to resolve it.”-Bill Kortenback Avoiding the mammogram will not change the potential outcome, it will just prolong finding out earlier about a problem that is easier to combat in the early stages. 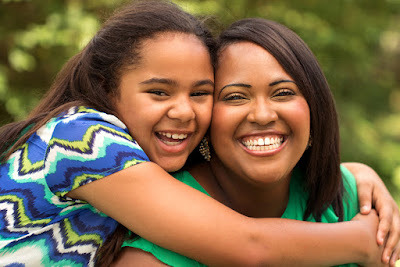 Women 40 to 44 discuss mammography with their doctor, and have the option of starting annual screening if they want it or their risk factors warrant it. Women 45 to 54 receive annual mammography screening. 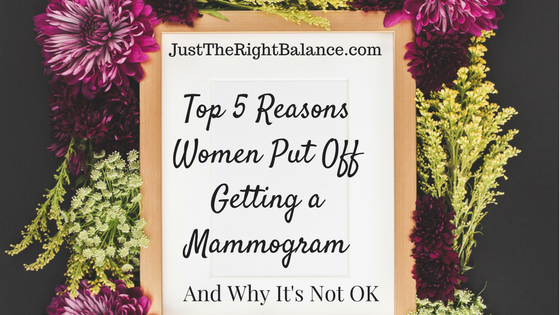 Women 55 and older receive screening every other year, and only discontinue mammography when life expectancy drops below 10 years. 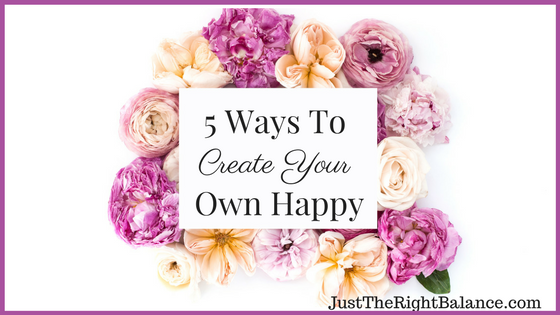 To join our community of professional moms who want to take back their life and put themselves first click here.